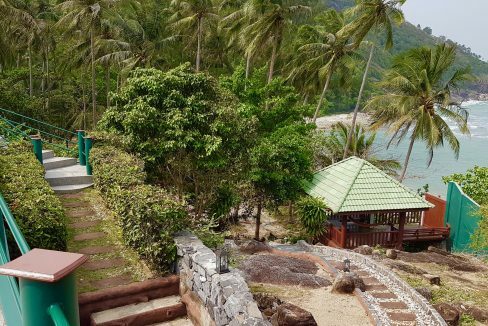 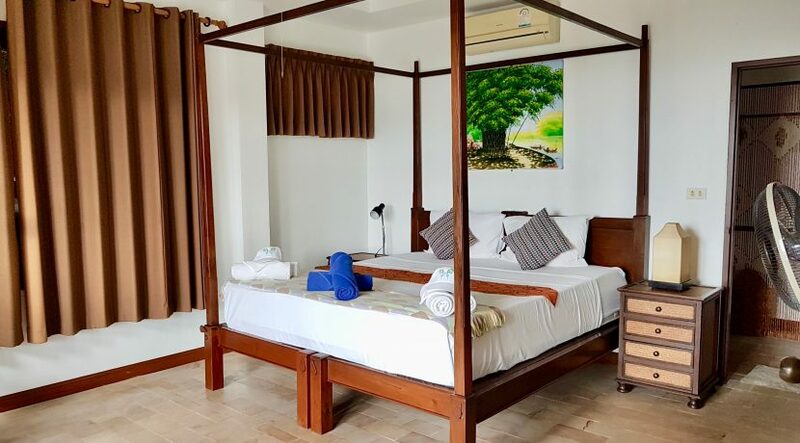 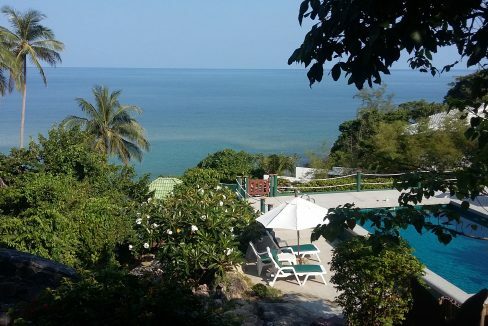 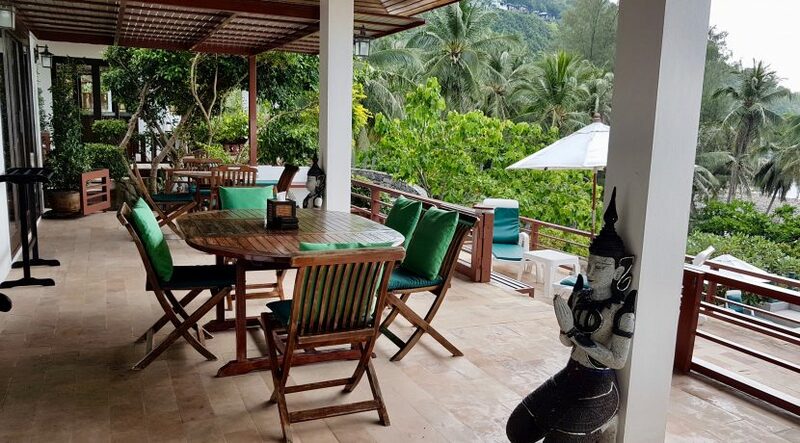 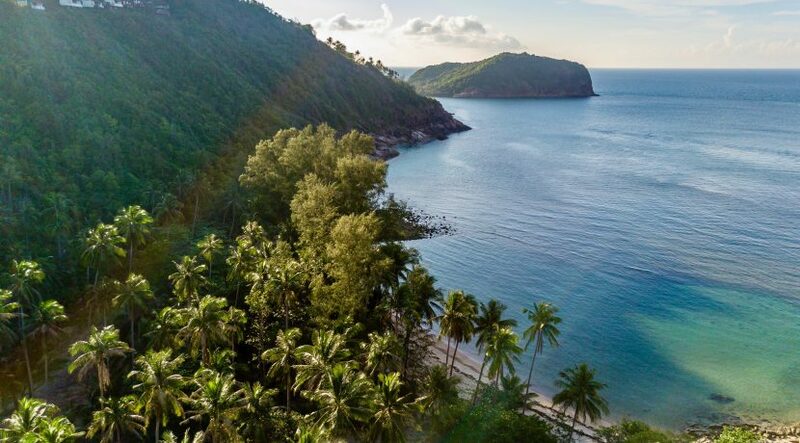 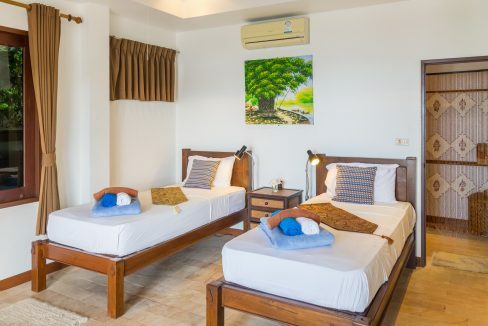 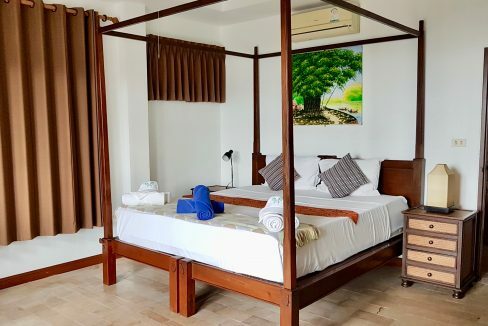 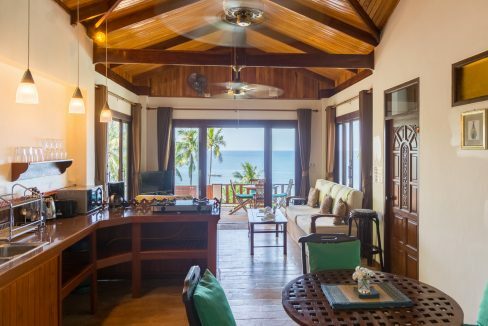 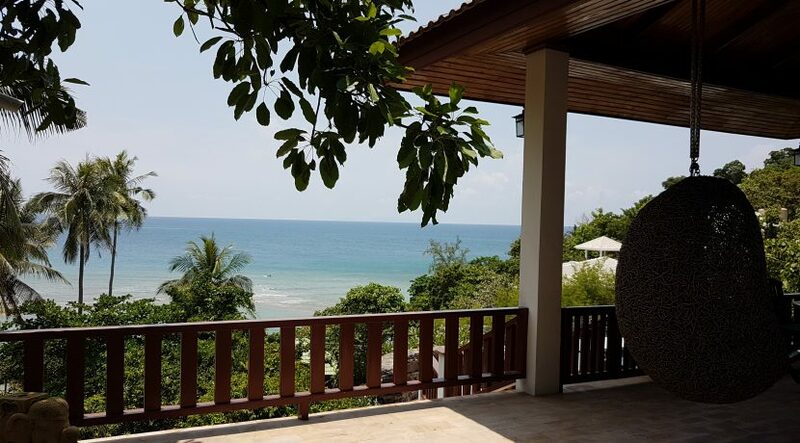 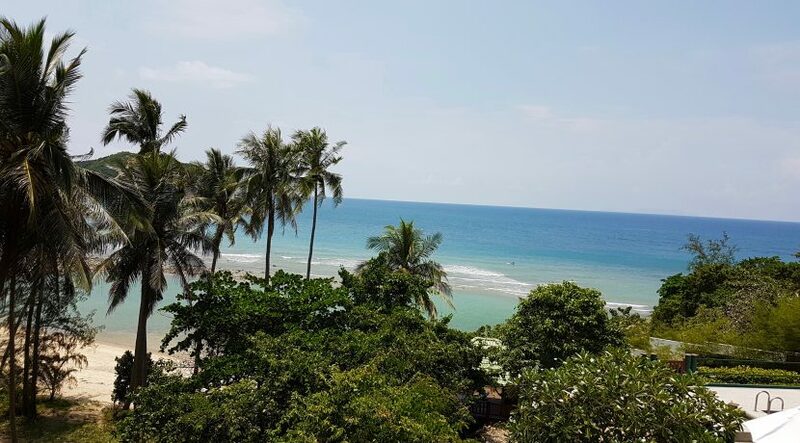 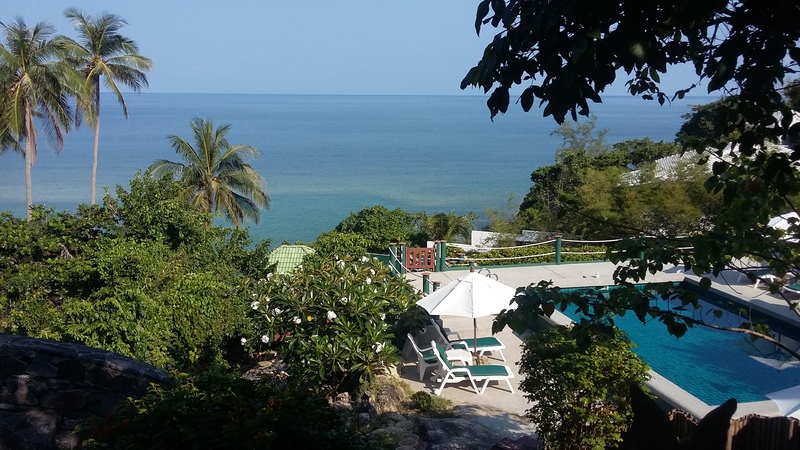 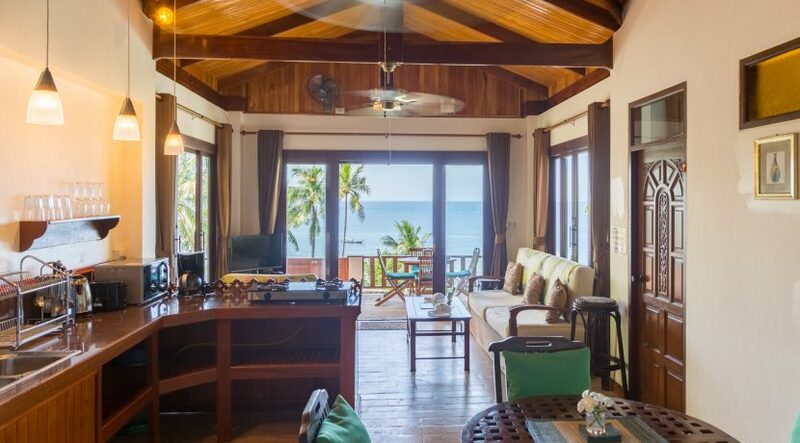 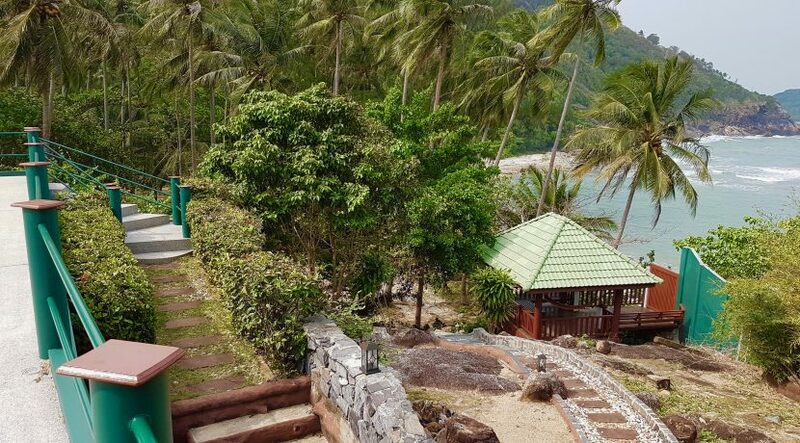 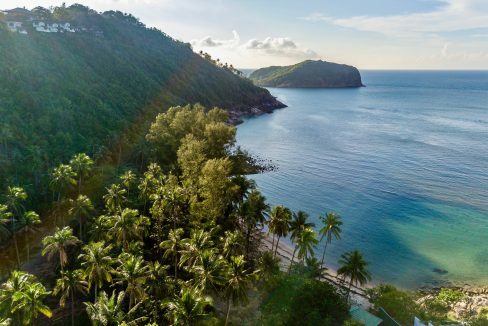 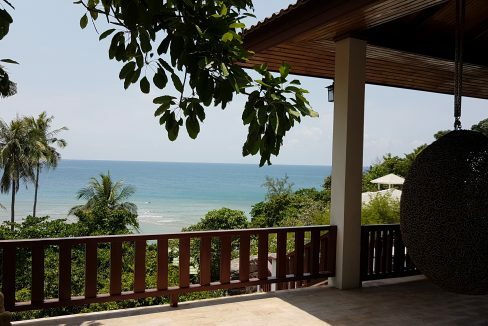 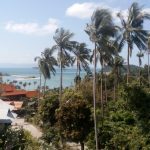 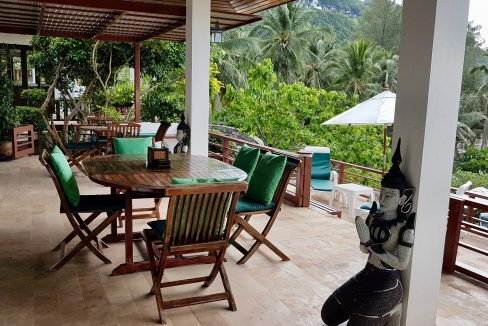 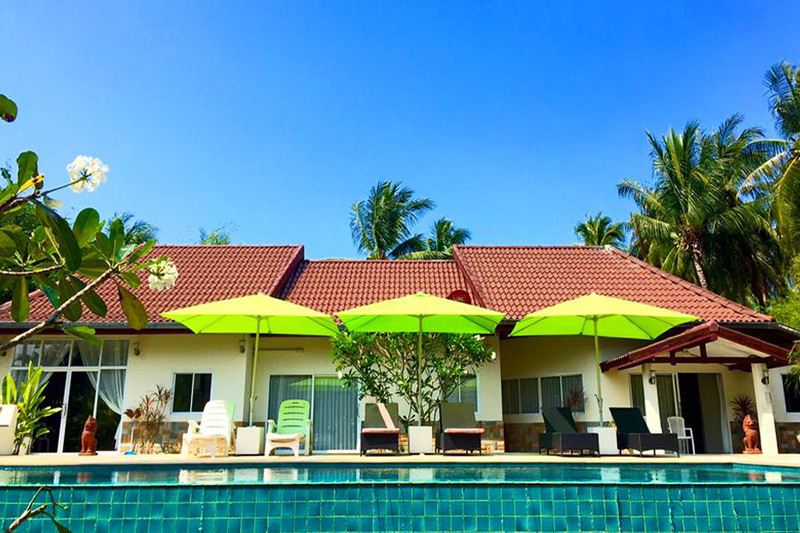 Dee Dee villas are located in Thong Lang bay near Chaloklum, these are 2 villas that are next to the secluded beach of Haad Thong Lang in the north-west of Koh Phangan. 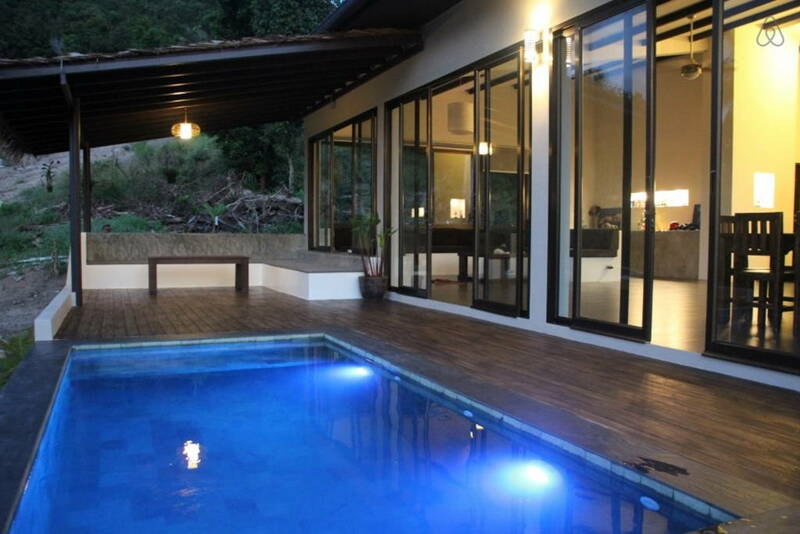 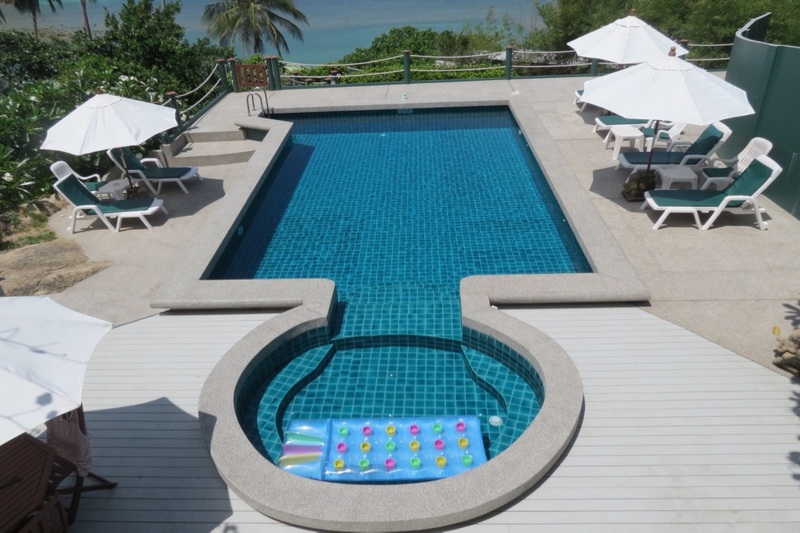 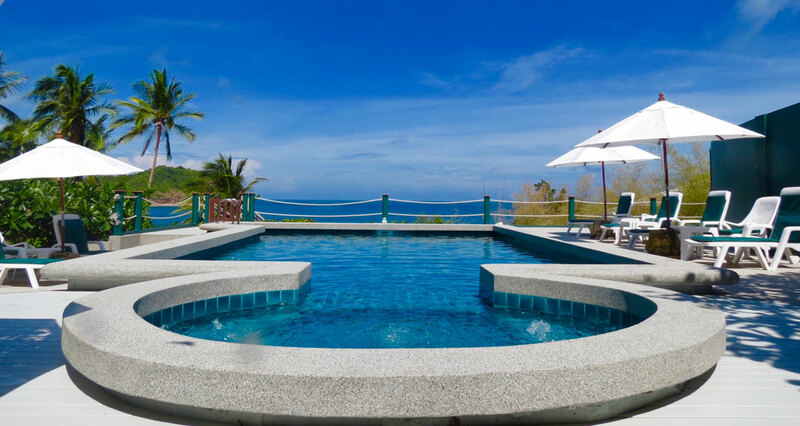 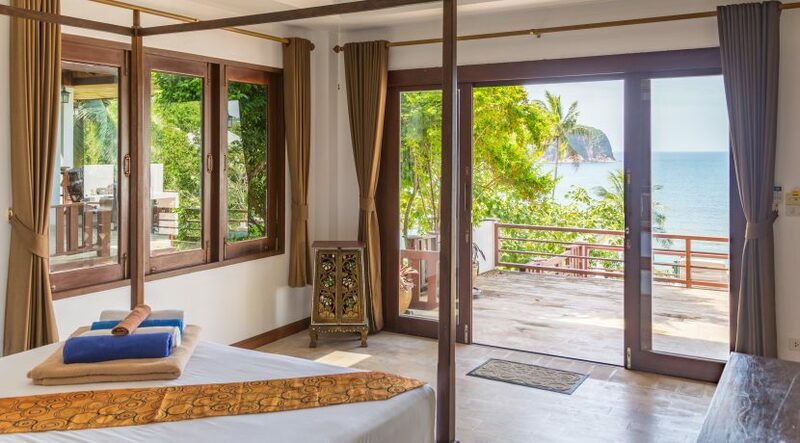 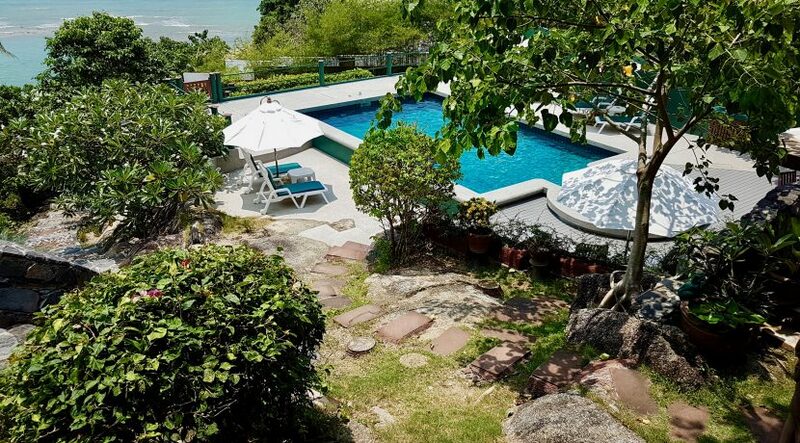 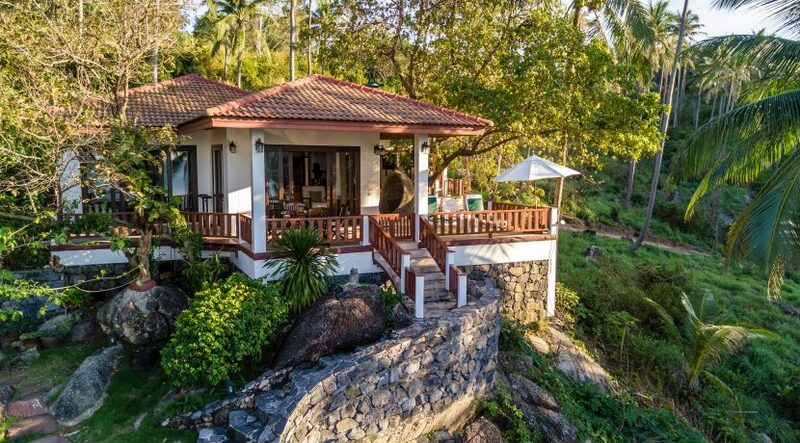 The villas are totally private with stunning views towards the bay and beach of Thong Lang bay, Koh Ma and Koh Tao. 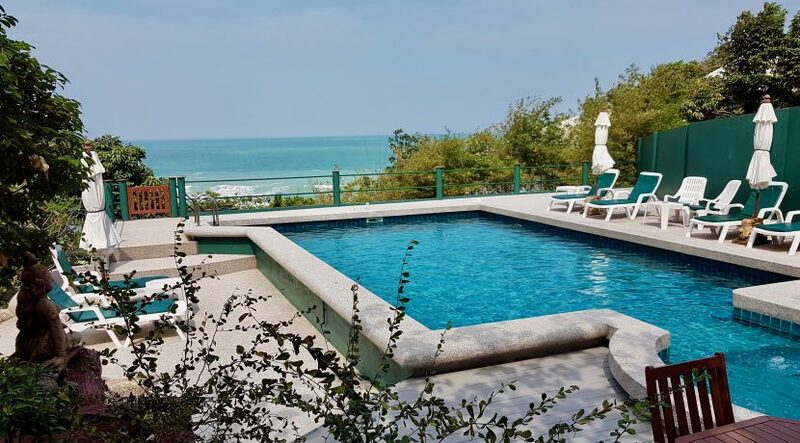 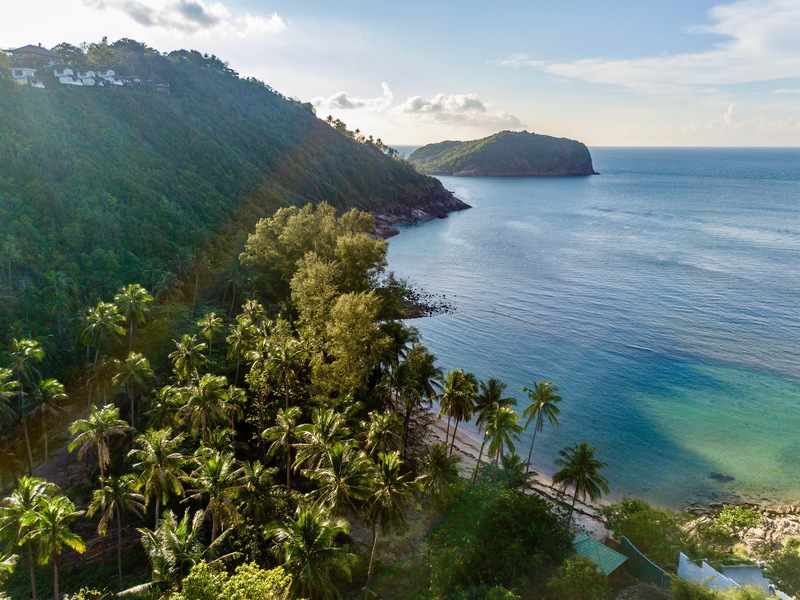 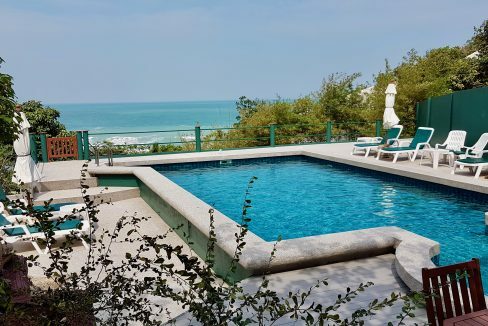 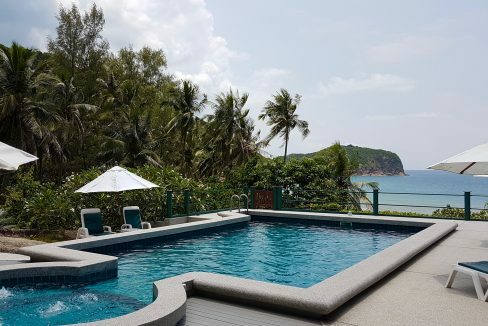 The villas are situated on sixteen hundred square meters of private beachfront land set amongst the well-established and matured Thai/Chinese gardens with a selection of decorative Chinese ornaments with over 50 different types typical tropical plants and flowers. 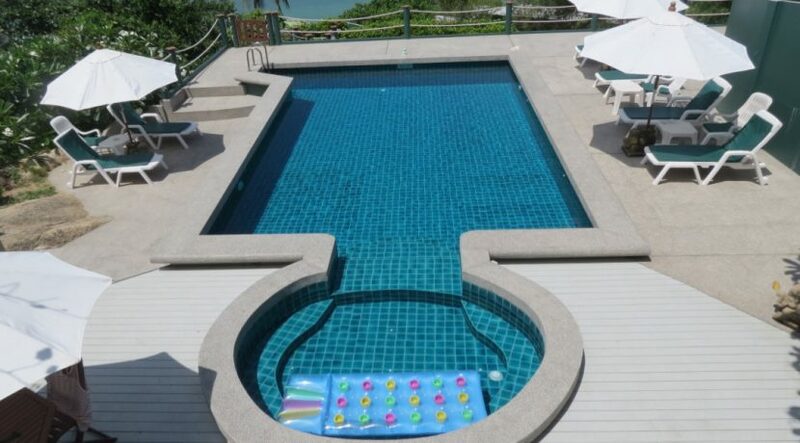 The centrepiece for the villas is the 10 meter by 5-meter swimming pool with a built-in Jacuzzi. 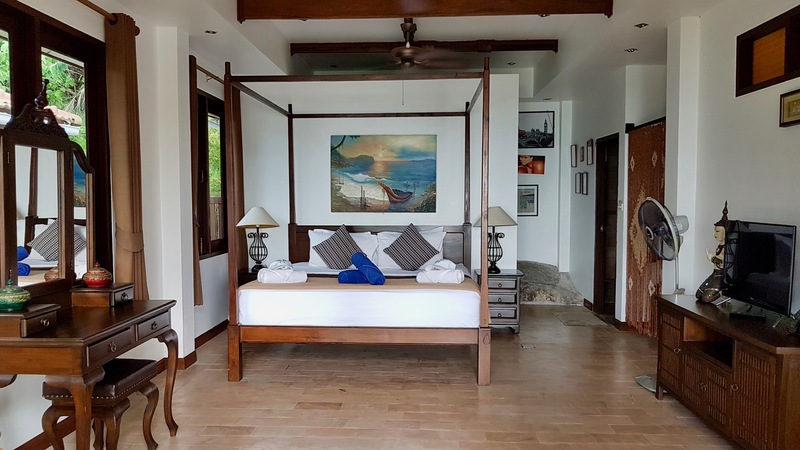 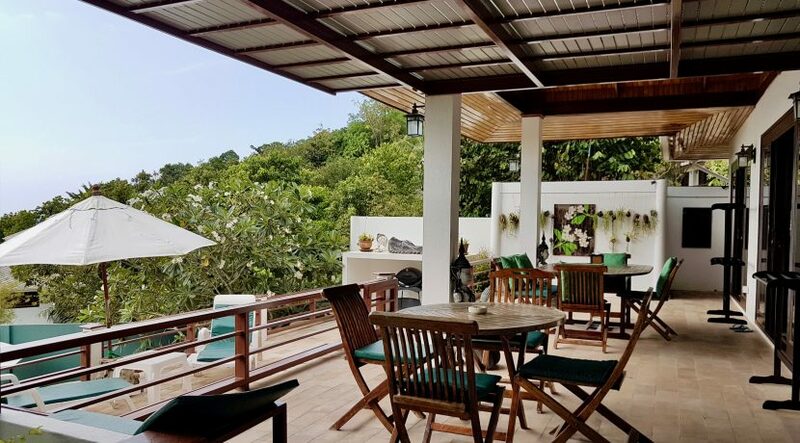 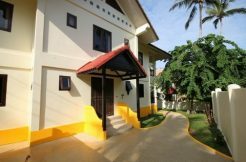 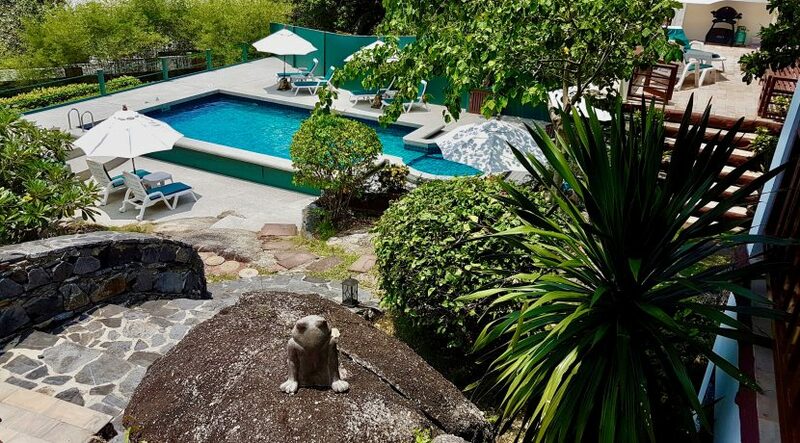 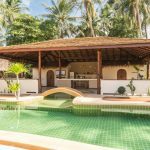 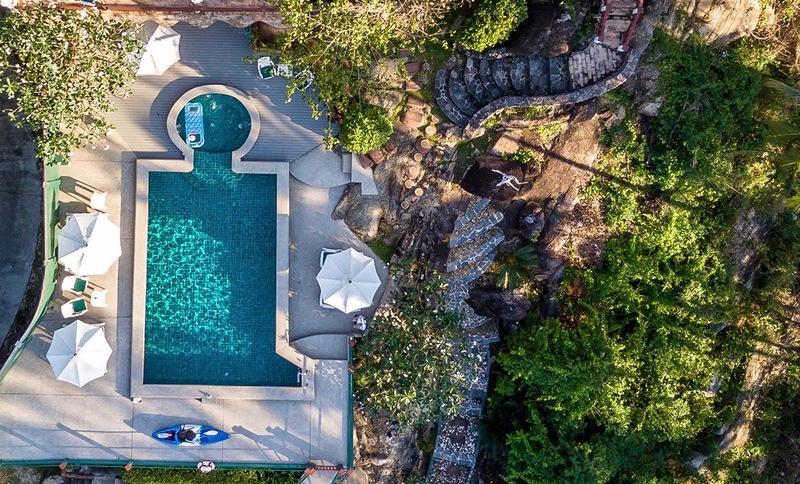 Dee Dee Villa Retreat can be rented as either a principle four bedrooms, four-bathroom villa or as two separate two bedrooms, two bathroom villas. 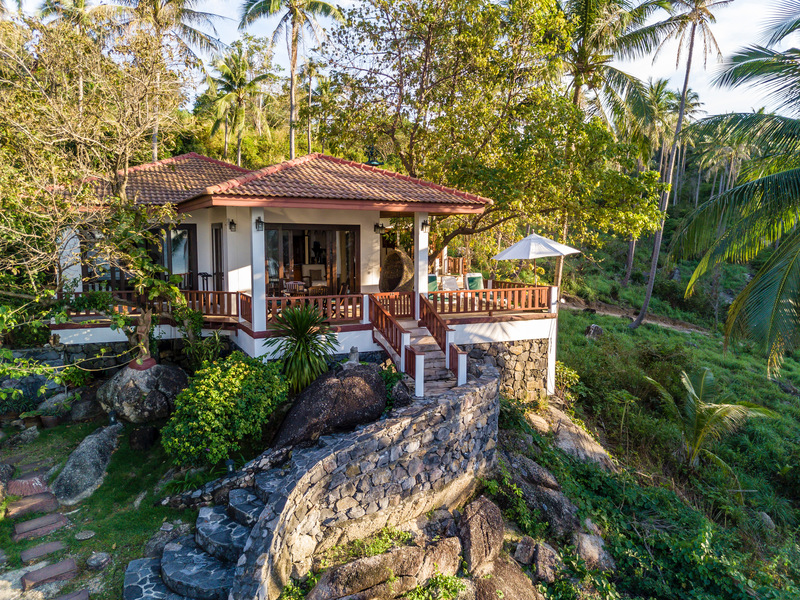 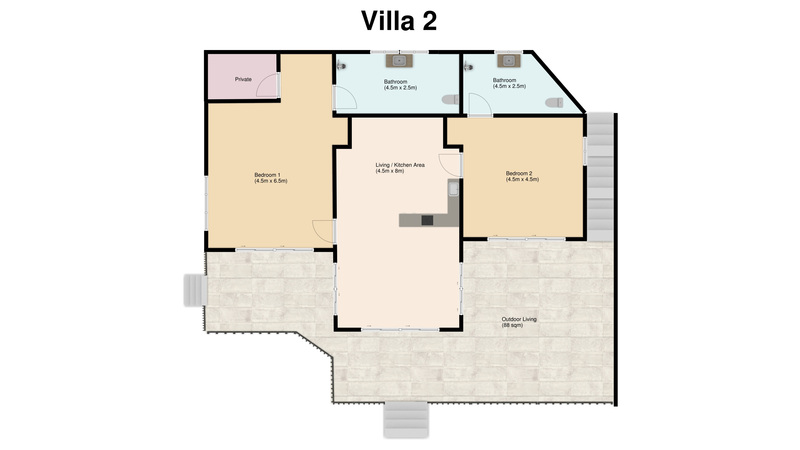 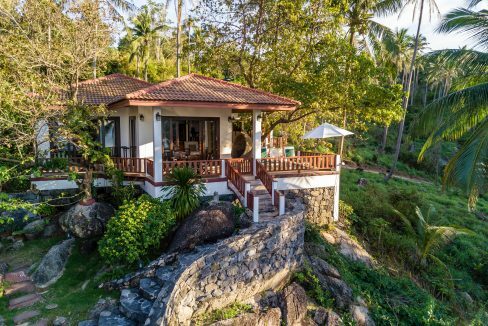 The owners have fully furnished the villas to the highest specification, complete with all the personal touches and designed and built to an Award winning Thai/European standards. 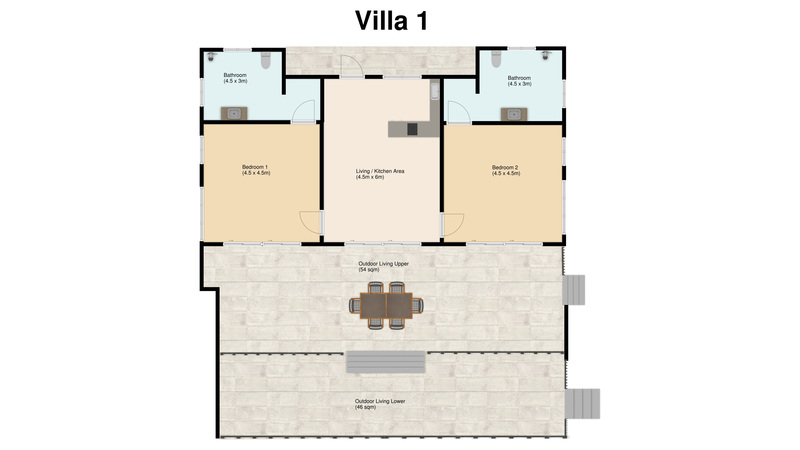 Both villas have fully furnished living rooms and kitchens. 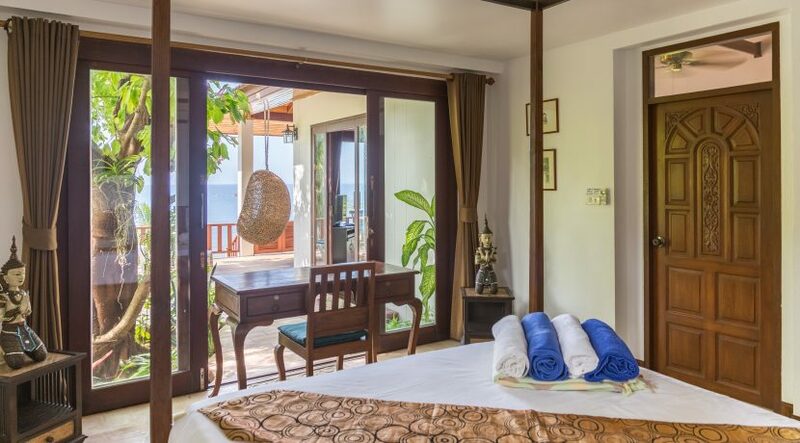 The rooms have wide sliding glass doors opening out to sea views. 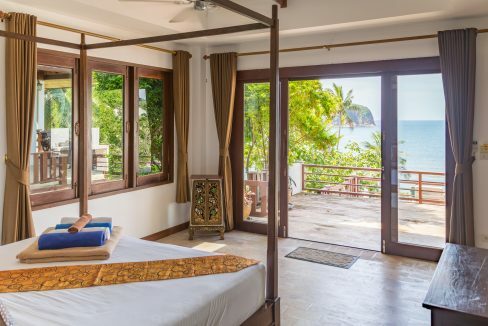 All bedrooms have air-conditioning and ceiling fans the beds themselves are bespoke in Thai teak wood. 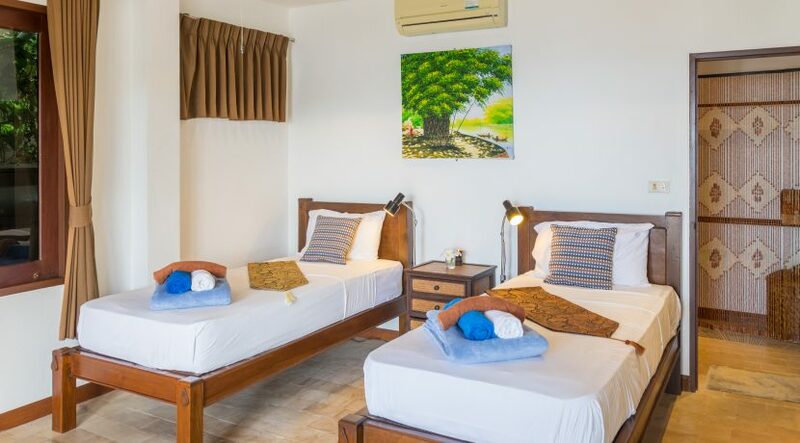 The mattresses in all the bedrooms are pocket sprung to European standard. 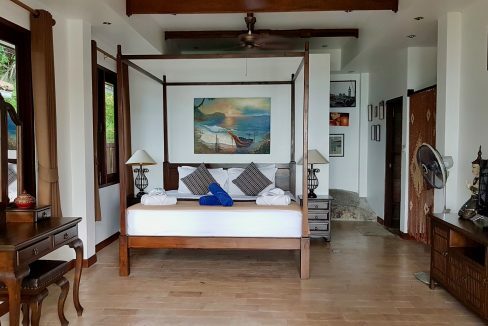 All pillows are goose/duck down with Irish cotton bed linen. 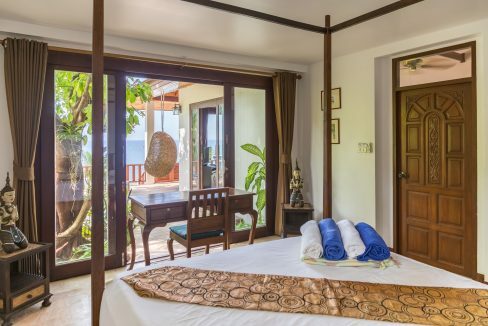 The villas are fully bespoke furnished with Thai style furniture with total comfort in mind to be as comfortable as a five-star hotel. Both villas have fully equipped kitchens. 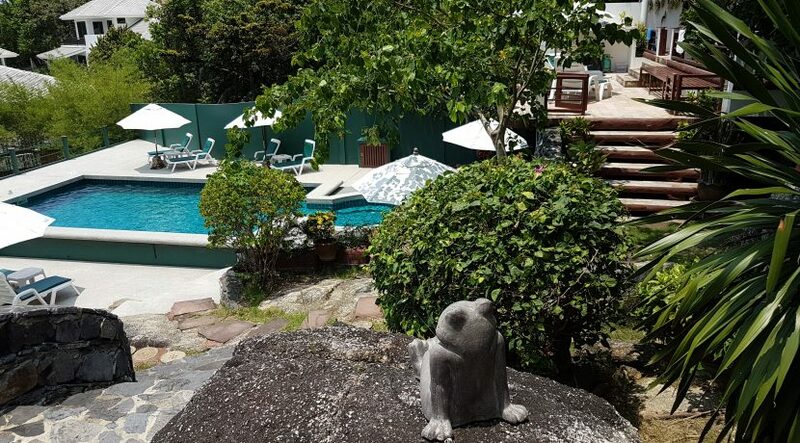 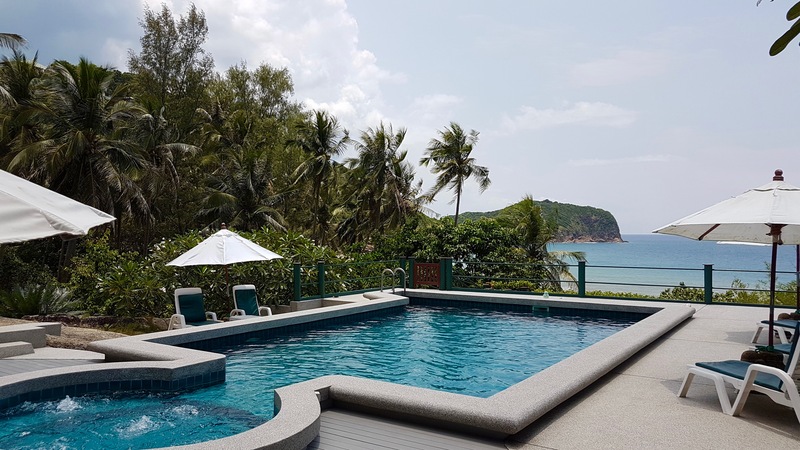 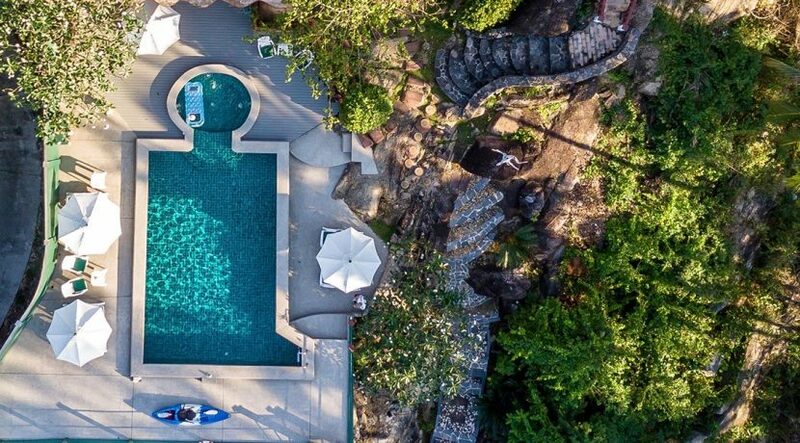 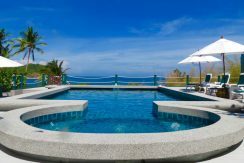 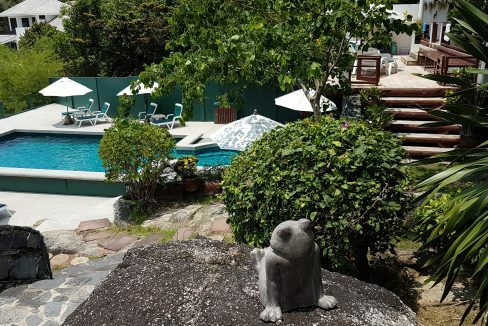 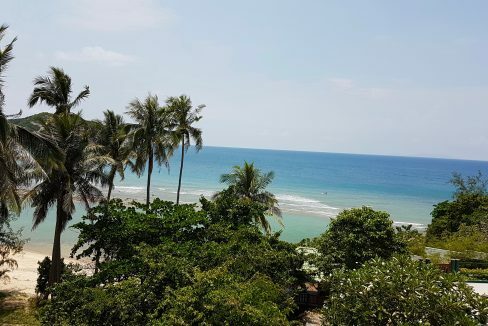 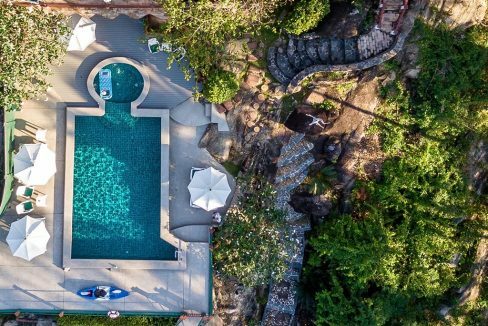 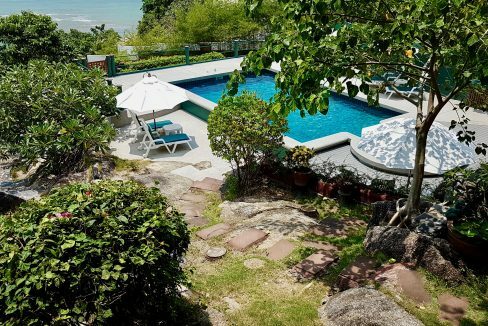 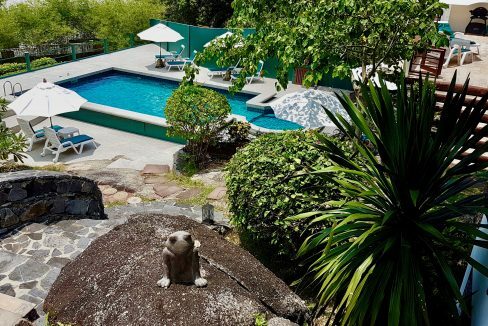 The surroundings outside are the main swimming pool with built-in jacuzzi/kids-pool, generous decking, sun beds and parasols., natural tropical gardens, and only 20 meters from the Haad Thong Lang Beach. 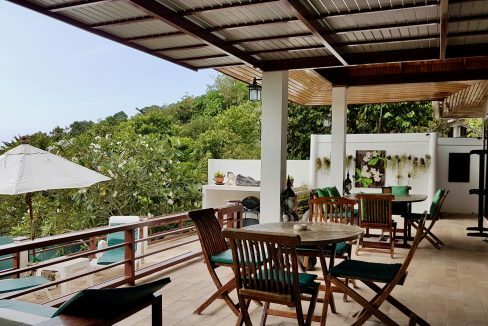 The hammock sala is situated ten meters above the beach with hammocks, dimmer lights and power points.